Lock in a great price for dm Hoteles Nasca – rated 8.6 by recent guests! Attractive. Good breakfast in that choice was quite a big range. Well appointed room. Nothing after sleeping in the bed for hours and finding the bed had not been cleaned with used dirty tissues under the pillow. Beautiful pool and gardens. Wouldn’t bother with the museum on site. Ambiance, classic Spanish style hotel, a small oasis in a noisy dusty chaotic town. Location is next to bus terminals so very convenient for late night arrivals. Comfortable hotel. Excellent layout. We stayed in the ground floor and enjoyed having a private patio space. Good pool. Friendly staff. Everything about this hotel excedeed my expections! The staff is really nice and helpful and the installations are beyond believe. It’s like being in a oasis in the middle of Nazca! employee is helpful,we fell not comfortable after nazca line fly,the employee is very kind and arrange free late check out. dm Hoteles Nasca This rating is a reflection of how the property compares to the industry standard when it comes to price, facilities and services available. It's based on a self-evaluation by the property. Use this rating to help choose your stay! Located only 650 feet from Nasca's main square, dm Hoteles Nasca offers accommodations with free WiFi in Nasca. The nearest transport agency is located 650 feet away, while Nasca's airdrome is a 5-minute drive away. Guests are served a welcome Pisco Sour cocktail, and a complimentary buffet breakfast is served daily. The 78 rooms at dm Hoteles Nasca are decorated with wooden furniture and tiled floors, and feature a private bathroom with a bath tub and unlimited hot water, a cable TV, a safety-deposit box and air-conditioning. The property also features a swimming pool and free private parking on site. 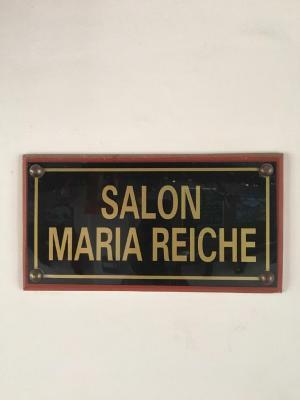 Additionally, during their stay guests may visit the bedroom of Dr. María Reiche, a passionate archaeologist who studied the Nasca lines and lived on site during 25 years. Guests can visit María Reiche's Planetarium, offering 3 sessions in 3 different languages. International and regional specialties can be ordered at The Lines restaurant, whereas drinks and snacks can be ordered from Cahuachi Bar. When would you like to stay at dm Hoteles Nasca? Features air conditioning, cable TV and private bathroom. Spacious room featuring air conditioning, cable TV and private bathroom. House Rules dm Hoteles Nasca takes special requests – add in the next step! dm Hoteles Nasca accepts these cards and reserves the right to temporarily hold an amount prior to arrival. Breakfast menu could use variety, was the same for three days, otherwise it was fairly good. The rooms are close to main streets, so the location is no that ok considering one cannot have good rest at all with such high cost. Breakfast is really poor. It is like an oasis in the middle of Nazca! I couldn’t point anything I didn’t like! We stayed only for one night, found hotel of basic standards. Room was next to road and all night heard all the traffic and music played by different cars. Shower head was from ancient times, seems never repaired nor cleaned. Staff's English language skills were significantly weak but since we had pre planned trip, nothing troubled us. Safety box was locked and we couldn't manage to open it, since it was late in night, we didn't bother the staff. Would recommend only for overnight stay. Close to Cruz Del Sur bus stop. One block walking distance. Close to centre of town. The exterior of this hotel is beautiful, huge cactus, nice looking swimming pool, great architecture. Nice hotel but noisy! Also staff are not very friendly which is a shame. Great location, staff helpful,lovely breakfast. The interior is a little dated, but it is an old building so this wasn't a big issue. Would have been very expensive without the online discount. Beautiful building and central courtyard, helpful staff and great location. Swimming pool was a great bonus too. It was comfortable, clean, but very noisy. The swimming pool area is much better in reality than in pictures. The breakfast and the restaurant. The pool and the pool area. The room was clean. Lokation. Easy to find better and cheaper food outside the hotel.